According to the internet, "Type B personality are noted to live at lower stress levels. They typically work steadily, and may enjoy achievement, although they have a greater tendency to disregard physical or mental stress when they do not achieve." Okay, so that achievement part sounds negative, but lower stress levels? Working steadily? Giving yourself a break when things aren’t perfect? Sounds like a win to me. 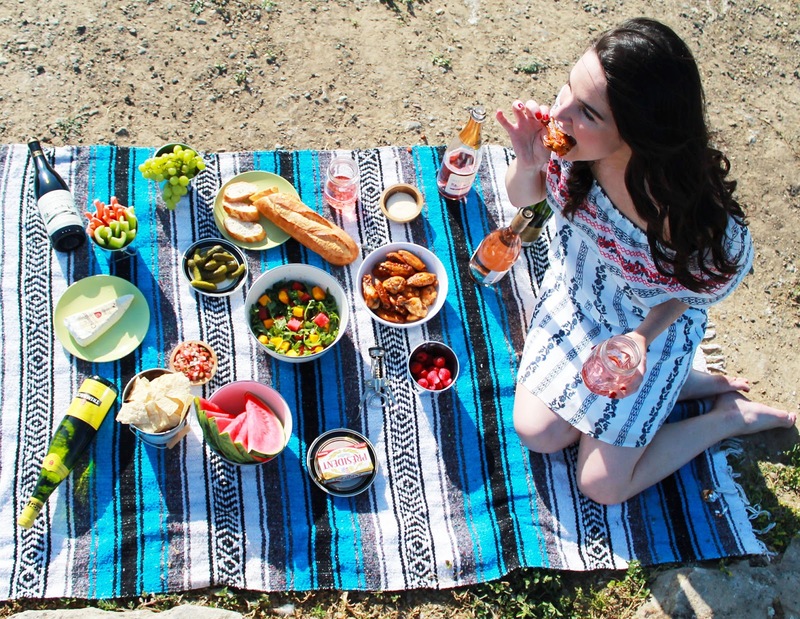 Take this picnic for example. Yes, I wanted it to look beautiful. I prepared pretty food, I was provided with gorgeous wine, cheese and butter, and I got myself all dressed up for photos. But it took everything I had to not dig into the spread before photos were taken. The Type B in me was screaming, “WHO CARES IF IT LOOKS GOOD?! Eat it, eat it now!" It probably didn’t help that I had an audience wondering why I wouldn’t just eat the wings already. For me, Type B means doing the best I can without ruining the fun. 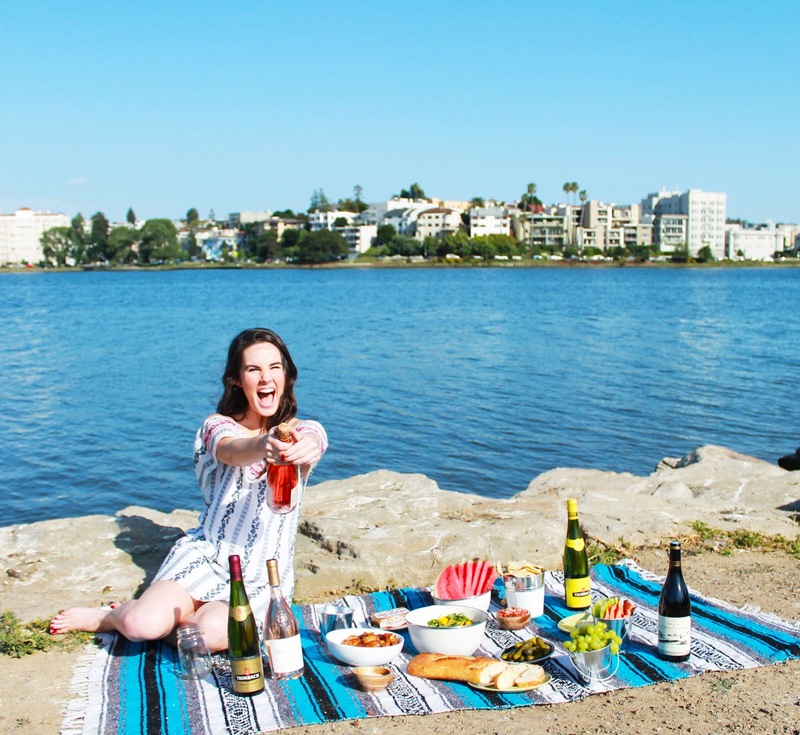 I want to have a picnic where things look pretty and I can pop a bottle of sparkling rosé while laughing at myself along with the bystanders. I want to be okay with forgetting the serrated bread knife and using the blanket as a napkin. As soon as the camera stops clicking, my hair is going to be in my face, I’m probably going to spill buffalo sauce on my dress and I’m going to have a blast. We are consistent in our quest to get things done in a way that doesn’t cause high blood pressure. 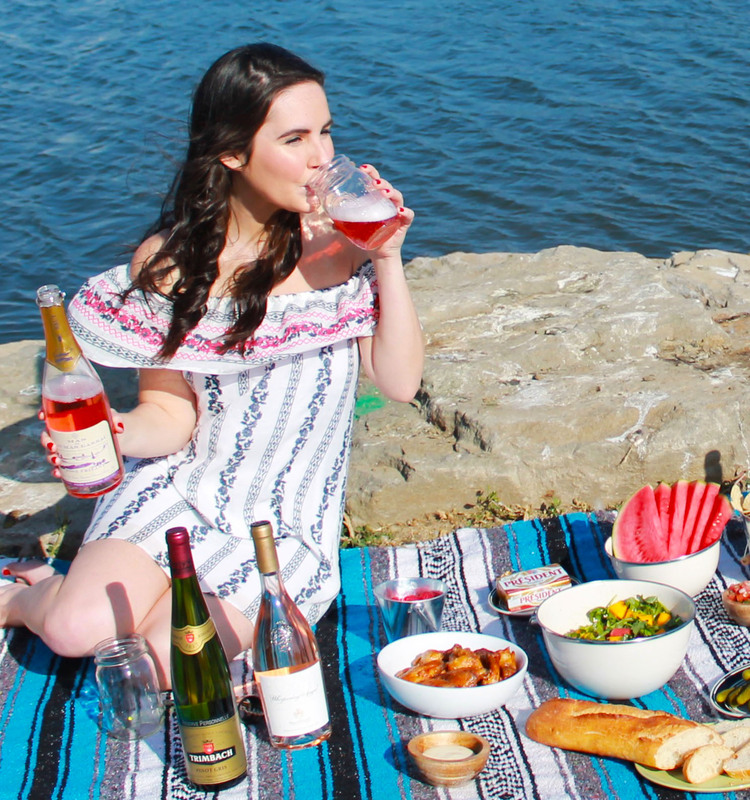 We know perfection isn’t always the best way to go, and we embrace the opportunity to drink wine in the middle of the day when there are dozens of more “productive” things we could be doing. 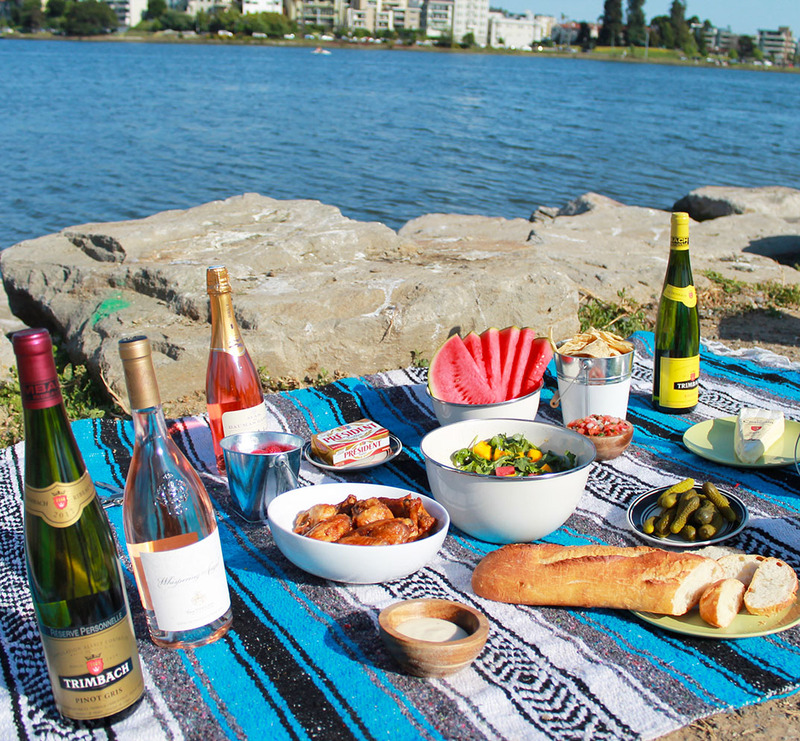 Now that you have a better idea of how this picnic actually went down, let’s discuss the fabulous French aspects of this spread. The French Ministry of Agriculture is to thank for the five bottles of wine from Languedoc, Provence and Alsace, as well as the cheese from Meuse and butter from Normandy. The last time I was in France, I was 15 which means I was certainly drinking wine (because I could) and I ate ALL the butter and cheese because I didn’t know I was lactose intolerant yet (ahh, the good ole days). Luckily, we are still capable of enjoying this incredible French cuisine right here in the states. Since there were only two of us (I promise I didn’t drink five bottles alone—somebody has to take photos! 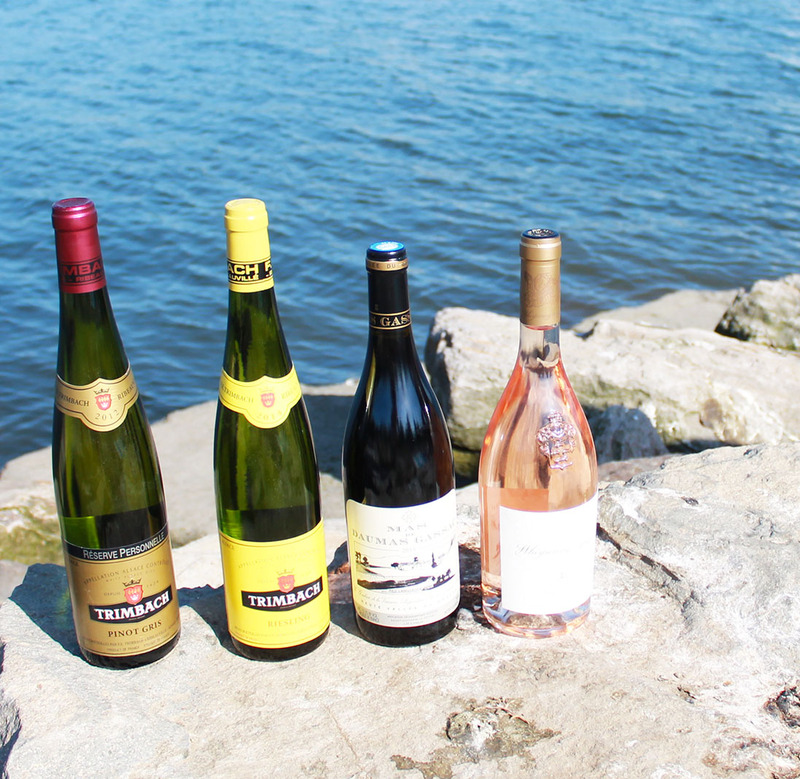 ), we only had a chance to try two bottles so far—the sparkling rosé and the pinot gris, but I can assure you the other three will be put to good use in the near future.